The judging panel consisted of seven Toronto 2015 staff, including representatives from marketing and communications, sponsorship and community outreach, and cultural affairs. 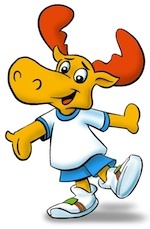 […] the CN Tower, a strip of Canadian bacon, a CIBC credit card [CIBC is a sponsor of the games] and a lightning bolt. Entries were based on teamwork, with groups of two to six schoolchildren involved in each submission. 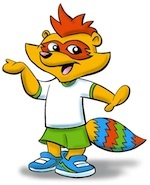 The Games are to be held July 10–26, 2015 in Toronto, Ontario, Canada and its environs. Their mascot will be unveiled July 17. 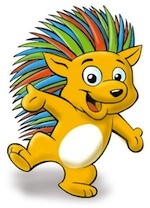 Update (17 Jul): The winner has been chosen - Pachi the Porcupine. The costume actually looks pretty good. 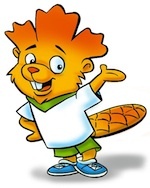 I choose the porcupine; seems the most friendly and enthusiastic of the proposed mascots. Since the contest ended in July 2013, and the porcupine was announced as the winner, this September 2014 comment seems a bit late. At least they chose the right one!